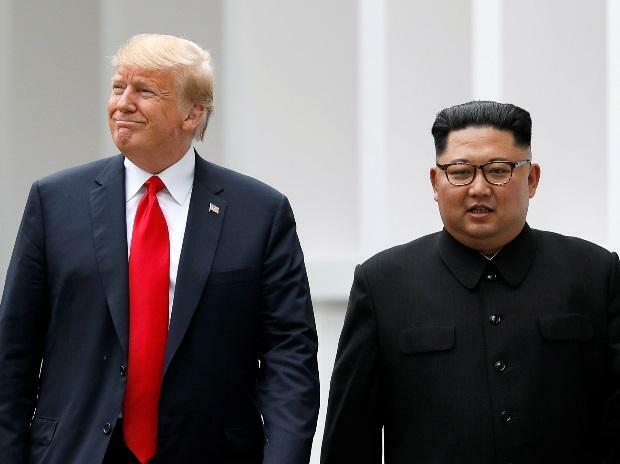 Kim Jong Un’s arrival in Vietnam by train this week for a second meeting with US President Donald Trump may be most remarkable for how normal it’s becoming. Since opening talks with South Korea last year, the once-reclusive North Korean leader has turned into one of the most sought-after guests in Asia. At each stop — from Beijing to Singapore and now Hanoi — Kim, 35, is being escorted down red carpets by officials eager to build early ties with the head of one of the world’s last untapped emerging markets. The swing from international pariah to guest of honor is a testament to Kim’s success in wresting power from military chieftains and eliminating rivals since his father died in 2011. It also illustrates his long-held desire to restore an economy drained by decades of famine, state planning and military expansion under his father and grandfather. “If you want to really understand the Kim Jong Un of the present, you have to travel back to his early years,” said Kim Young-hui, who defected from North Korea in 2002 and is now a senior economist at the Korea Development Bank’s Inter-Korean Economic Cooperation Research Unit. Over the past seven years, the Swiss-educated Kim has steered North Korea from his father’s “military first” policy focused on building a nuclear arsenal to one that emphasizes the economy. After successfully testing an intercontinental ballistic missile in 2017, he declared the weapons program “complete,” initiated talks with Trump and announced a new strategy for boosting the economy. The move ended Trump’s threats of war and paved the way for a historic first meeting with the U.S. president in June. It also opened a new world of potential investors from Seoul to Singapore -- provided Kim can get Trump to relax international sanctions against his weapons program. In recent months, Kim has railed against the sanctions, which do everything from ban travel by officials to curb its energy imports. North Korea ranks as one of the world’s poorest countries and the sanctions are believed to have helped cause the country’s deepest recession in two decades in 2017, according to South Korean estimates. Kim left Pyongyang on Saturday afternoon on a train that will take him through China down to Vietnam. He traveled abroad five times last year -- more than any North Korean leader in at least two decades -- often visiting industrial sites. Kim reportedly plans to do the same in Vietnam ahead of the planned summit, giving him a close-up view of a fellow socialist state that has prospered after easing hostility with the U.S.
North Korean officials have been spotted near Samsung Electronics Co.’s smartphone plants in Vietnam, the Yonhap News Agency reported last week, suggesting Kim may tour South Korean factories. While South Korea is Vietnam’s second-largest trading partner, a North Korean leader hasn’t visited Vietnam since Kim’s grandfather, Kim Il Sung, in 1964. Trump himself has repeatedly cited Kim’s development goals while arguing why North Korea would trade its nuclear arsenal away. Kim hasn’t secured his control over North Korea by showing weakness. His reign has been marked by ruthless purges and executions, including the killing of his uncle and one-time deputy, Jang Song Thaek, as well as the murder of his older half-brother, Kim Jong Nam. That consolidation of power has given him the space to introduce economic and government reforms once seen as nearly impossible in the insular, one-party state. And it’s allowed him to shake hands with Trump, the leader of a country that North Korean propaganda has spent generations blaming for all of its problems. Even now, the purges appear to be continuing. Kim exiled, imprisoned or executed 50 to 70 members of the country’s political elite last year, including opponents of engagement with the U.S., according to a report published last week by the North Korea Strategy Center, a Seoul-based research institution founded by a former defector. Kim now needs to show the elite back in Pyongyang that his engagement efforts can bring economic opportunity without sacrificing the country’s nuclear deterrent -- its “treasured sword.” The regime has a long history of coming to the bargaining table dangling the prospect of cooperation, only to renege on deals after extracting economic concessions. Chun Yungwoo, former chief South Korean envoy to international nuclear negotiations with North Korea, said Kim’s successful consolidation of power requires him to consider what kind of country he wants to rule over for the next 40 to 50 years.